Argentina captain Lionel Messi has urged his compatriots to be realistic in their World Cup expectations, warning that other teams heading to Russia are better. In an interview with Argentine Canal 13, Messi also discussed why he did not take the chance to play for Spain and said that Barcelona will be his only European club. "People need to know that we are not going to Russia as favourites but we have a group of very good players and we are ready to scrap," Messi said. Asked if Argentina could win the World Cup, Messi swerved between hope and realism. 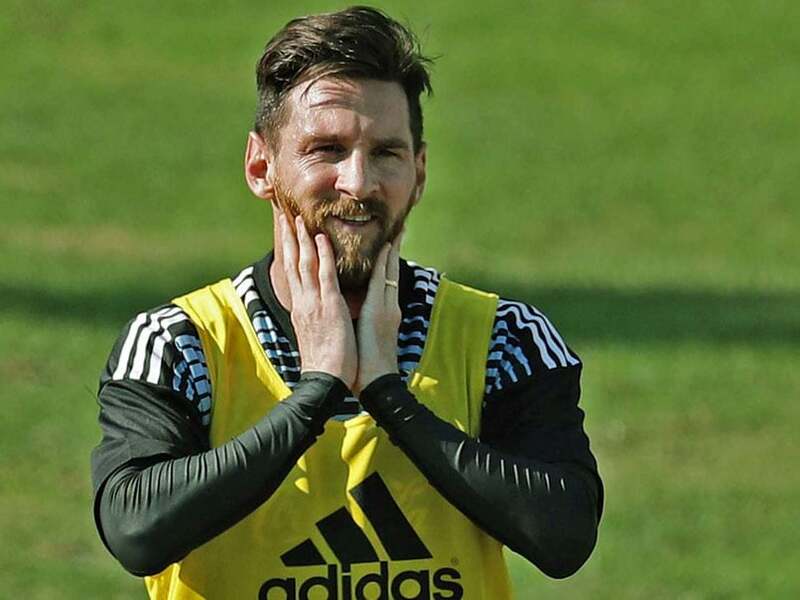 Argentina captain Lionel Messi has urged his compatriots to be realistic in their World Cup expectations, warning that other teams heading to Russia are better. In an interview with Argentine Canal 13, Messi also discussed why he did not take the chance to play for Spain and said that Barcelona will be his only European club. “People need to know that we are not going to Russia as favourites but we have a group of very good players and we are ready to scrap,” Messi said. Asked if Argentina could win the World Cup, Messi swerved between hope and realism. “I believe so, I have faith in this team,” he said. “We have players with talent and experience. We cannot send the message that we are the best, because that’s not true.” “Quite a few squads are better,” he said singling out Brazil, Spain and Germany. Messi has won multiple Champions League and Club World Cup titles with Barca. But he “would swap any one of those titles with Barcelona” for a World Cup win. Messi moved to Barcelona at the age of 13 and would have been eligible to play for Spain. “The other day I was talking to a friend and he said to me: ‘Look, if you had stayed with Spain, you would be world champion’,” Messi said. Messi repeated that he dreams not only of playing for Argentina but in Argentina, preferably for his boyhood club Newell’s Old Boys. In Russia, Argentina will face Iceland, Nigeria and Croatia in what he called “a complicated group”. Iceland, he said, “compete with anybody” pointing to their surprising run at Euro 2016. Nigeria, Messi said, are “always tough for us”. He missed the friendly in Krasnodar in November that Nigeria won 4-2. The countries have met four times in the World Cup and Argentina have won by one goal every time. Messi compared Croatia to Spain “for controlling the ball, the quality of their midfield players”. Argentina play Haiti on Tuesday in Buenos Aires and Israel on June 9 in Jerusalem in their two warm up games.